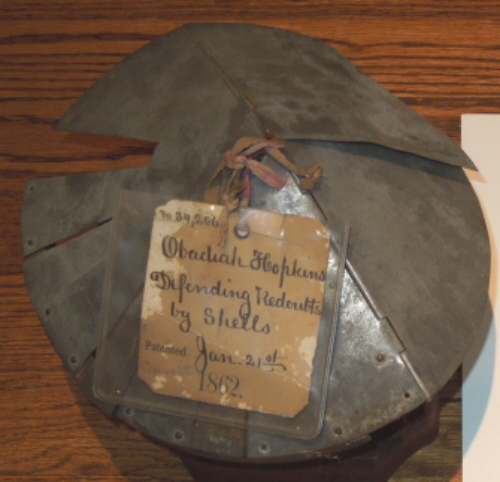 Description:Original patent model for "Improving in defending redoubts by shells" by Obadiah Hopkins. 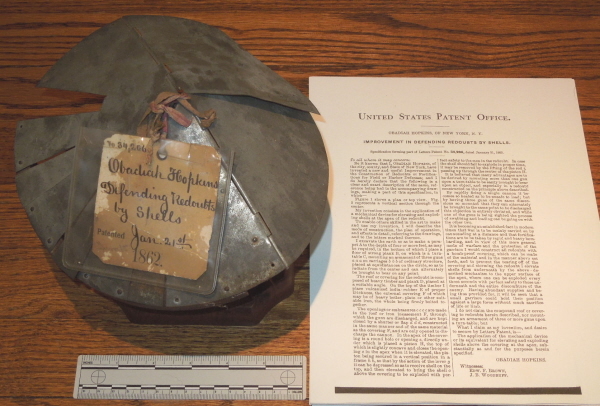 Patent #34,206 from January 21st, 1862. 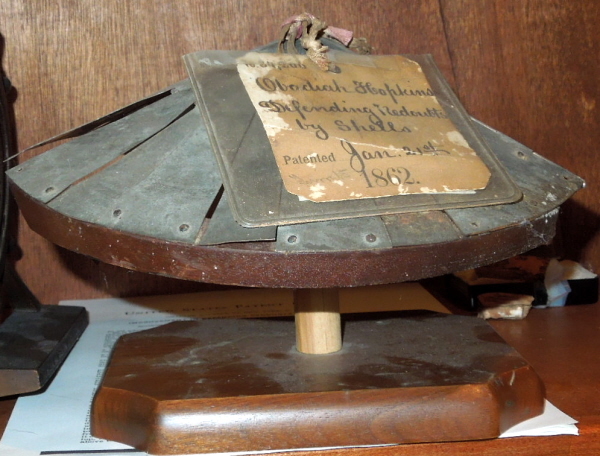 Crafty old Obadiah made this patent model which is an umbrella like structure to shield gun emplacements. It has panels that go up and down so the guns can fire and quickly be re-protected. It is also round for rotating so guns can fire faster at their targets. The original label is affixed by red "tape" ribbon... A truly unique item.